Online ordering menu for GENEROASTA. Generoasta Coffee is a unique coffeehouse, inspired by the desire of its' Founders to share their passion to Do Good, Have Fun, and Drink Coffee. 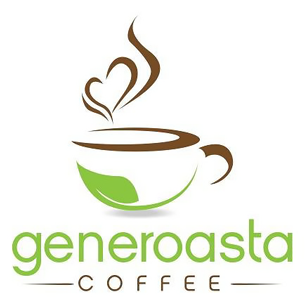 Located in the North Hills (just off the Warrendale exit of Rt.79), Generoasta Coffee is committed to providing our community with an exceptional experience; from the environmentally conscious quality of our coffee, teas, and light fare, to the comfortable ambiance of our store, and the engaging personalities of our "Generista's". Find us at the corner of I-79 and Perry Hwy. Order online for carryout!